I’ve had several teachers and mentors advise me to keep perspective on the big picture and avoiding getting “lost in the weeds” with miniscule details of an issue. Although I still get bogged down at times, this guidance has served me well. IF YOU COULD CHANGE ONE THING ABOUT YOUR PROFESSIONAL SELF? During my career, I have reaped the benefits of many learning opportunities, and my career path has also involved a lot of good luck. I would only wish to improve my ability to give back to the groundwater community from which I’ve received so much. Challenging problems are sometimes encountered during well drilling such as twist offs, stuck pipe, lost circulation, etc. Resolving those issues can be a frustrating endeavor, but after the problems have been resolved, it’s a great feeling to see water flowing from a successful well. THE AVAILABILITY AND PRICE OF SILICA SAND HAS CHALLENGED CONTRACTORS IN THE SOUTHWEST. WHAT CAN BE THE REMEDY? The availability and quality of the sand is the primary challenge. The delivery of some sources of silica sand may take four to six weeks after the order is made, so in those cases pre-designing the filter pack is necessary to avoid the high costs of driller standby time. WHAT IS THE BIGGEST HURDLE IN GETTING BUY-IN FROM ALL PARTIES INVOLVED FOR PROPER WELL DESIGN? Limited data and human nature. It is human nature for us to resist change, or alternatively, to fully embrace new but unproven techniques just because they seem to offer a fresh approach—and both those human tendencies are generally flawed. 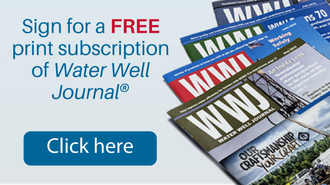 YOUR NEW BOOK, THE ART OF WATER WELLS, WILL BE AVAILABLE FROM NGWA PRESS THIS SPRING. WHAT DO YOU WANT READERS TO LEARN FROM IT? Provide information on water well design, well site selection, and well installation that is not readily available elsewhere. 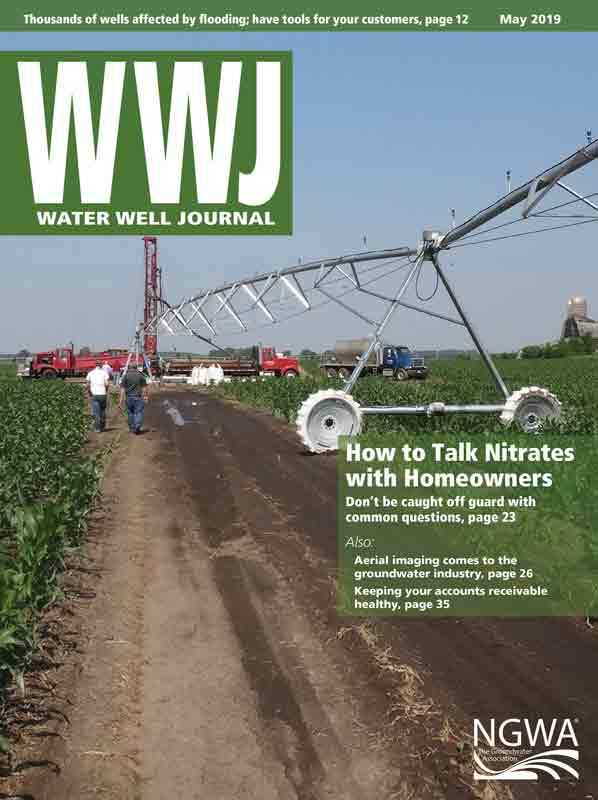 I also included a chapter on the economics of water well design, based on my McEllhiney Lecture. The book is focused on practical applications that will hopefully be understandable to all well designers. 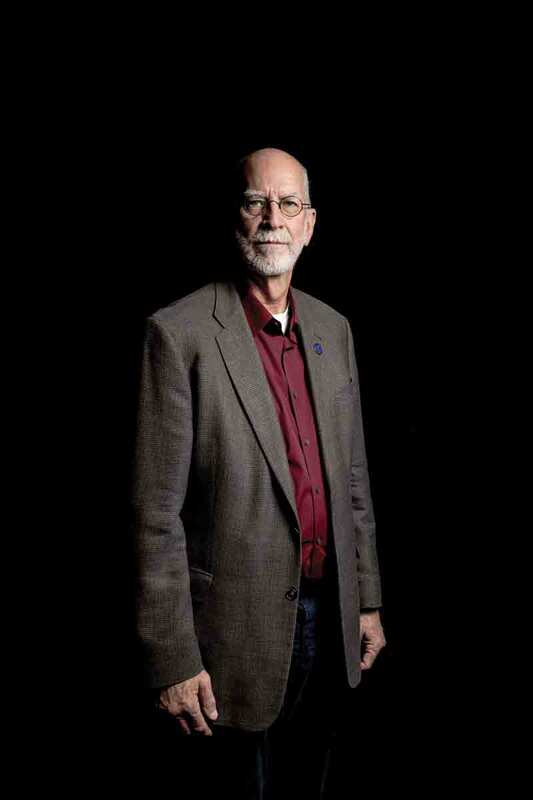 YOUR FAVORITE MEMORIES AS 2012 GROUNDWATER FOUNDATION McELLHINEY LECTURER? I really enjoyed visiting with well drillers from all across the United States, and I found it interesting that their local perspectives and the challenges they face are so varied. Another fond memory was presenting my McEllhiney Lecture to diverse groups such as drillers, hydrogeologists, college students, engineers, water lawyers, and water system operators.